The club challenge scorekeeper has been slacking off of late but has eventually updated the challenge tables after events 8 and 11. 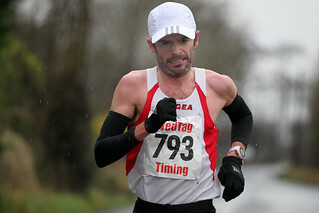 Event 8 was the Connacht Cross Country held over 3 races. At the end of all that muck GCH brought home lots of silverware. The Galway county cross country at the Palace Grounds in Tuam doubled as the 7th event in the GCH club challenge. Ideal running conditions saw some great racing but ultimately led to little change in the club challenge tables. The county 10k is going to be run off in conjunction with the Fields of Athenry. This means that there is actually one less race in the challenge as the FoA is already on the list of challenge races. The national half marathon took place in conjunction with the Rock n Roll half marathon last weekend, August 2nd in Dublin. The race proved a very succesful one from a club point of view with a host of great results. On a balmy Tuesday night in Dangan the first night of the county track and field championships doubled as round 5 of the GCH club challenge. 13 GCH athletes toed the line in the 3000 and 5000m races. At the end of the night Majella Ní Chríocháin and Martin Kearney maintained their positions at the top of the table albeit with reduced leads. 68 GCHers have now scored in the club challenge. Next up is the National Half Marathon in Dublin at the beginning of August. There will be no GCH track training this Tuesday evening to facilitate the county championships so why not use the 3000m/5000m as your track session and gain some valuable points in the club challenge at the same time. Entry can be done on the night or to speed things up can be done online at the following link. Since the last Club Challenge update we've had the National Road Relays and the Club Away race. These events introduced several new names into the Club Challenge league and has changed the front end of the leaderboards. Martin Kearney jumped into the lead in the Men's league and Majella Ní Chríocháin leads in the Women's league just one point ahead of GCH Chairperson Mags Sheridan.